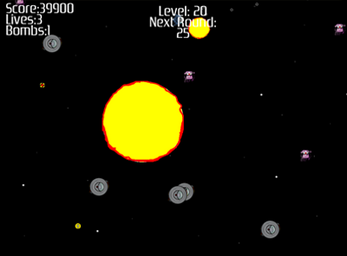 What if you could play as a spaceship captain hell bent on destroying a never ending fleet of enemy hostiles? 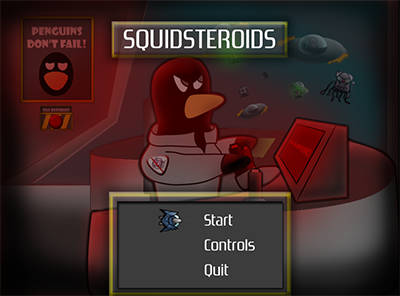 Not only can you do just that, but the captain is a penguin, and the hostiles are, "KAMIKAZE SPACE SQUIDS!" 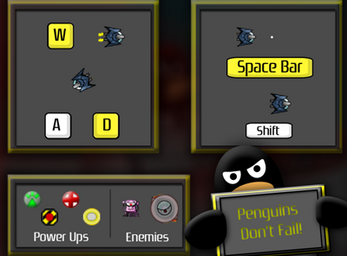 Pilot the star ship penguin, and fight for as long as you can. 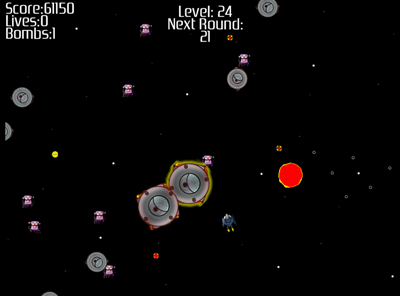 Pick up upgrades to power up your guns, and take down as many as you can. How long can you last?